Hi there, how are you? The kids and I have been here there and everywhere today and we’ve not finished yet! However it’s tipping it down at the moment so I thought I’d pop this card on here while I’m having a breather! ‘Happy Harry’ is a digital stamp by fromtheheartstamps.com and this is my entry for their new ‘I (heart) sketches’ 116. Details for this challenge can be found if you CLICK HERE I have also used the following to make this card: Spellbinders Scalloped circle die, Spellbinders Circle and bunting die, Crafter’s Companion doily die, Core-dinations card stock, patterned papers from ‘Merrymint’ – American Crafts and Spectrum Noir Pens. 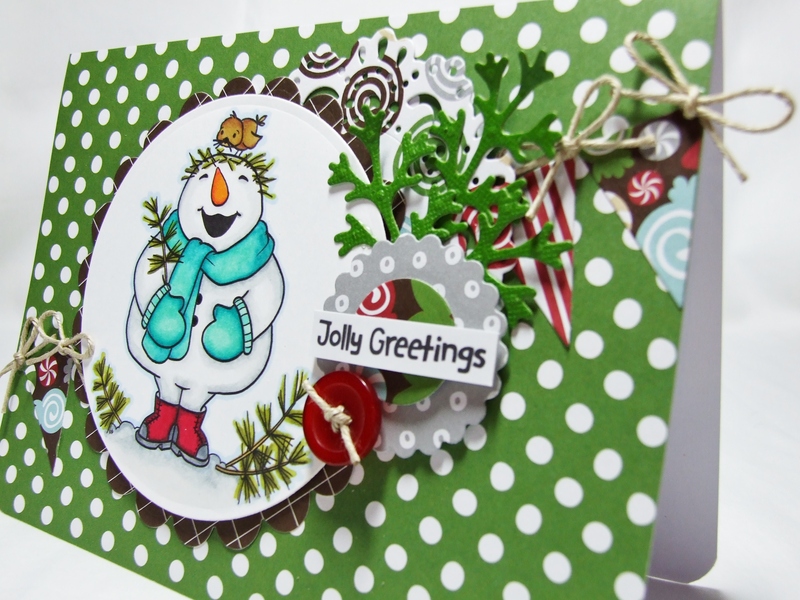 Next > CAS-ology – Plaid week challenge 161….. This is so festive!!! 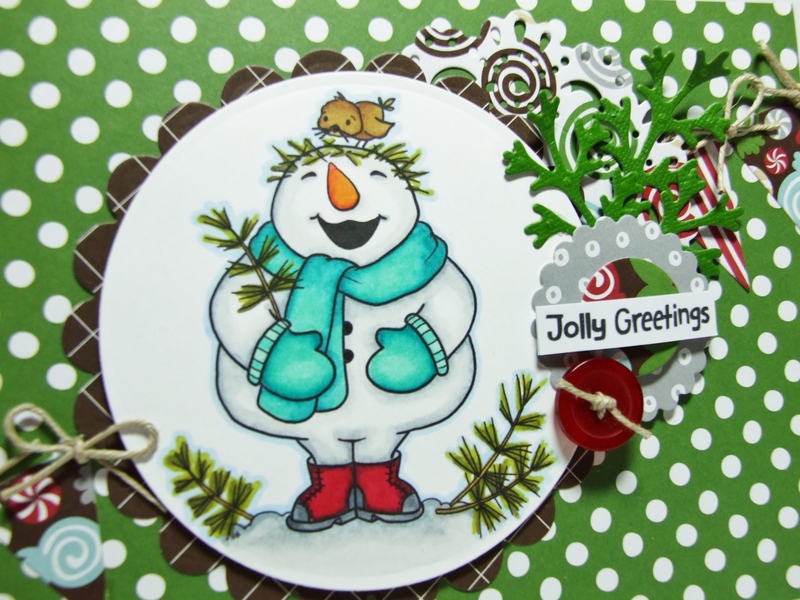 The Snowman just makes you smile looking at him and you’ve diffentely added some life to him. Thank you for joining us at FTH. This is adorable!! I’m going to pin it to our Project 100 Snowmen if you don’t mind. 🙂 Thanks for entering our challenge! This is such a sweet card, Karen ! Great take with Harry, the banner looks great and also your take with the circles. You did a perfect job with our Sketch # 116 @ From the Heart Stamps. Thanks for joining us !! 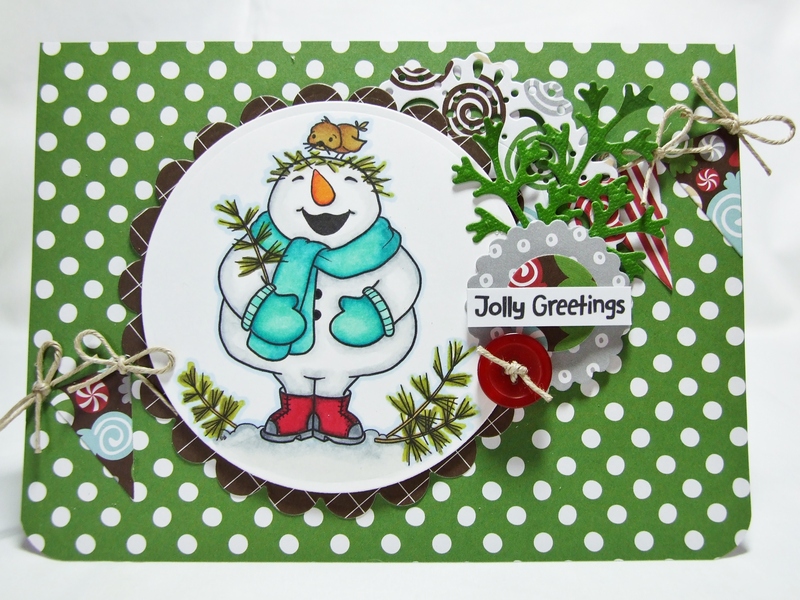 Love the papers, colours, the banner across the card and that you flipped the layout, great take on the sketch, thanks for joining in the fun with us, Karen!